The bestselling of Vietnam private tours has 4 natural and cultural World heritage sites: Charming Hanoi. Amazing Halong Bay, the top natural wonder of the world. Romantic Hue. Mysterious My Son. Exciting markets of Mekong river. Limited offers for the bestselling Vietnam private tour. Trip name: Heritages Of Vietnam. Length of the trip: 11 days and 10 nights. 8:30 start visiting Hanoi, the thousand year old capital of Vietnam. first, see Ho Chi Minh Mausoleum, the presidental palace in beautiful botanic garden and his house on stilt. Then, admire the unique buddhism architecture of one Pillar Pagoda(built 1049) and Temple of Literature(First University built in 1070 AD). Enjoy morning tea and coffee before visiting Luon Cave by a sampan. Have brunch during your cruise back to Halong city. Really you will never forget this experience. 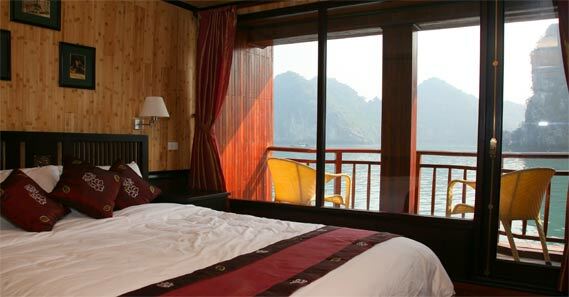 Check out and transfer to airport to catch the flight to Hue. Overnight in Hue(Meals: Brunch). Drive to Hoi An over Hai Van Pass with the magnificent view of the China Sea. Visit the fascinating Cham Museum and the Marble Mountains. Then, drive to charming Hoi An, known as Faifo and major international ports in South East Asia to early Western traders. You can find its special old-world retainings. Visit My Son, the sacred land of Cham people from 3rd century to 13th centure. A UNESCO culture heritage site offers you a chance to see a mysterious construction technique which could not be explained by all scientists. Afternoon, return to Hoi An and rest of the day free at your own leisure on the beach. Overnight in Hoi An. It takes about 2 hour drive from Saigon to My Tho, a city on the northern bank of Mekong river. On arrival, Enjoy amazing Mekong River cruise with a visit to an orchard on an island. Then, visit a snake farm and drive to hotel for check in and overnight(Meals: B/L). Discover Cai Rang and Phong Dien floating markets. You will be surprised at the trading way of local farm products at exciting atmosphere. Stop at Bun Tau noodle factory and a rice-husking mill. Here, if you like, try to pass one of the many fragile monkey bridges along the canals for photo shot. Have lunch before driving back to Saigon(Meals: B,L). Free at leisure until transfer to the airport for flight back home. End of service. Book the best of luxury Vietnam private tours, just one time to remember unique experience forever. If not fully satisfied with the trip, you will have money back. Limited offers for the bestselling Vietnam private tour.